If you are looking for a superfood, then you should know about the amazing health benefits of spirulina. The blue-green algae, which is found in freshwater lakes and ponds, is actually one of the healthiest foods available for supplementation. What is spirulina good for? It has many health benefits, including boosting your immune system, preventing allergies, and helping manage high blood pressure. Here are some of the top spirulina health benefits. 1. It boosts your immune system: Spirulina has been found in studies to have major immune system benefits. It is full of antioxidants and other anti-inflammatory compounds that may help fight cancer, autoimmune diseases, and oxidative damage. Studies have also suggested that spirulina can possibly increase your body’s production of antibodies to fight viruses and illnesses. 2. It treats allergies: Spirulina can dramatically reduce allergic symptoms. In fact, in one study, taking spirulina dramatically reduced several allergic symptoms, including sneezing, nasal congestion, and itchiness. Spirulina acts like an antihistamine, which means it can be helpful for treating watery eyes, itchy skin, and other allergy symptoms. 3. It promotes good bacteria: While we usually think of bacteria as a bad thing, our guts need “good bacteria” to function properly and prevent inflammation. Studies have suggested that spirulina can actually increase the bacterial strains that are good for our health. This means that spirulina could enhance the effect of probiotics. 4. It’s loaded with minerals and nutrients: The main reason why spirulina is called a superfood is because it’s loaded with vitamins, minerals, and other nutrients. Just some of the nutrients it contains are vitamin A, vitamin E, vitamin D, several B vitamins (B1, B2, B3, B6, and B9), magnesium, calcium, copper, potassium, selenium, iron, zinc, and many more. Taking spirulina is like taking a huge multivitamin. 5. It contains high amounts of protein: There are many spirulina powder benefits, including its high protein content. Spirulina has up to 70% protein and amino acids, which is why spirulina powder is often used as a protein supplement by athletes and fitness enthusiasts. As well, the protein spirulina contains is four times more digestible than beef protein. 6. It can help with weight loss: You can also use spirulina for weight loss. Due to its high nutrient content, spirulina can reduce hunger and food cravings. As well, its high protein content promotes muscle strength, which helps burn fat. Using spirulina can help you shed pounds when combined with other weight loss techniques. 7. It can help control cholesterol and blood pressure: Both cholesterol and high blood pressure are linked to numerous diseases and health conditions, including heart disease and strokes. Spirulina can help manage both. Studies have found that spirulina is effective at lowering LDL (“bad”) cholesterol while also raising HDL (“good”) cholesterol. As well, research has confirmed that spirulina can help control and lower blood pressure levels. 8. 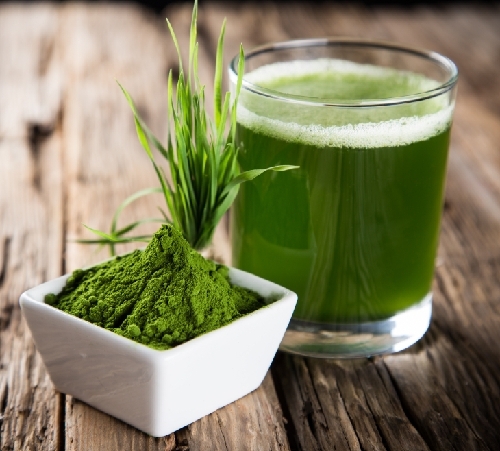 It may prevent some types of cancer: Spirulina may help prevent oral cancer, a surprising health benefit that was found in one scientific study. People who ate spirulina saw a regression of precancerous tumors in their mouth compared to people who did not eat the supplement. Animal studies have also found that spirulina appears to have some cancer-fighting effects. With so many health benefits and almost no major spirulina side effects, it’s no wonder that this blue-green algae supplement is considered a superfood. There are so many different illnesses, diseases, and chronic conditions that appear to benefit from spirulina, and research continues to find more positive health benefits. Spirulina powder can also be used for protein shakes, smoothies, and other nutrient-rich drinks. It’s a quick supplement to take on the go, and as little as a gram per day can have big health benefits. So if you want to improve your health, give spirulina a try! Leech, J., “10 Proven Benefits of Spirulina (No. 1 is Very Impressive),” Authority Nutrition web site, November 2015; http://authoritynutrition.com/10-proven-benefits-of-spirulina/, last accessed March 8, 2016. McCarron, J., “Benefits of Spirulina for Weight Loss,” Livestrong web site, October 16, 2013; http://www.livestrong.com/article/232330-benefits-of-spirulina-for-weight-loss/, last accessed March 8, 2016. “Spirulina,” University of Maryland Medical Center, July 16, 2016, http://umm.edu/health/medical/altmed/supplement/spirulina, last accessed March 8, 2016. “Spirulina Herb Profile,” Wellness Mama web site; http://wellnessmama.com/4738/spirulina-herb-profile/, last accessed March 8, 2016.